Blizzard and Good Old Games (GOG.com) have teamed up to re-release the first two Warcraft games ahead of the upcoming Warcraft III: Reforged. From today, Warcraft: Orcs & Humans and Warcraft 2: Battle.Net Edition (which includes both the original 'Tides of Darkness' campaign and the 'Beyond the Dark Portal' expansion) are available on GOG.com for AU$8.99 and AU$13.99 respectively. There's also a Bundle available, which includes both games for AU$21.99. Blizzard say that the retro RTS games have been fully optimised to run on modern operating systems. 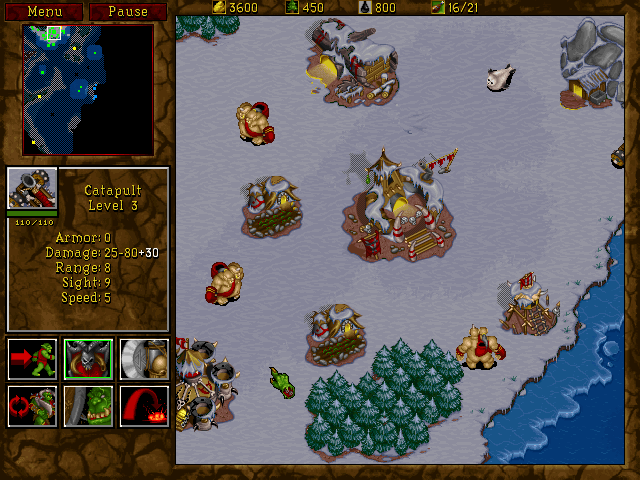 In addition, players who pick up Warcraft II through GOG will have the option of playing an updated version of the game that supports high-resolution displays (plus multiplayer via LAN connections) or a "period-appropriate" version that includes the original SVGA graphics and matchmaking through Battle.net. The move comes following GOG and Blizzard's re-release of the original Diablo back in March and ahead of the remastered Warcraft III: Reforged, which does not yet have an official release date. Warcraft: Orcs & Humans and Warcraft 2: Battle.Net Edition are available now for PC via GOG.com.